Join us on the Spirit of Philadelphia for our pop-up Rooftop Beer Garden! Kick back and relax on our outdoor decks with complimentary light bites, our onboard DJ, drink specials and unbeatable views of Penn’s Landing. 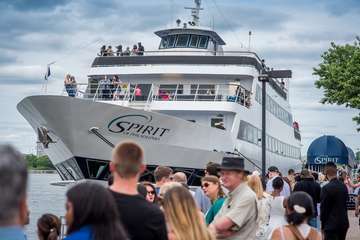 Spirit will stay docked and open to the public, so come and go as you please! Pre-registered guests will have the opportunity to board at 2:30PM before we open to the public at 3PM. Event ends at 5pm.